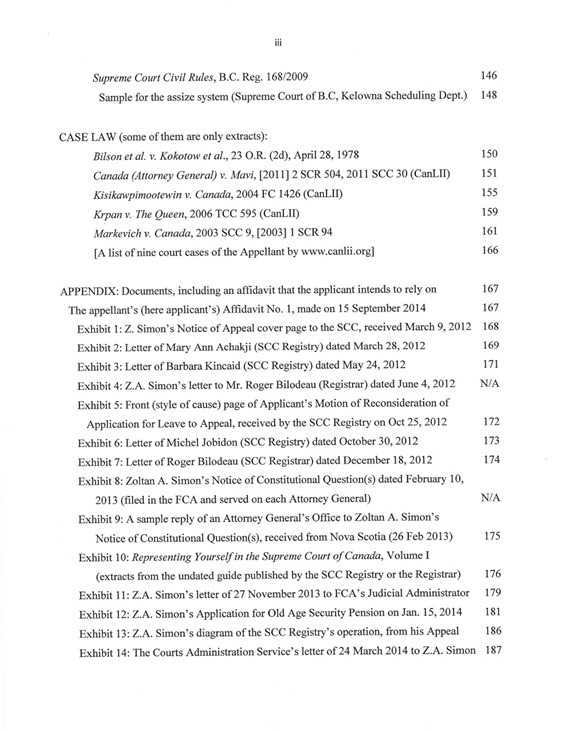 Pages 17 to 43 are not part of this preview. 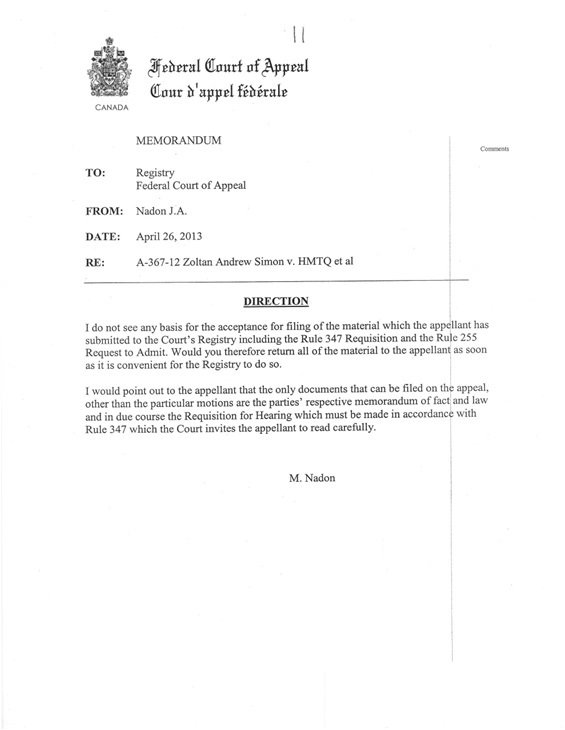 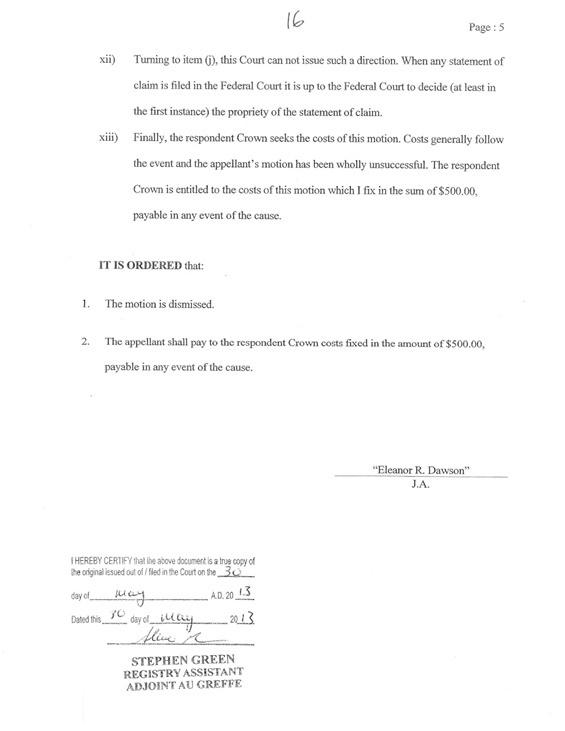 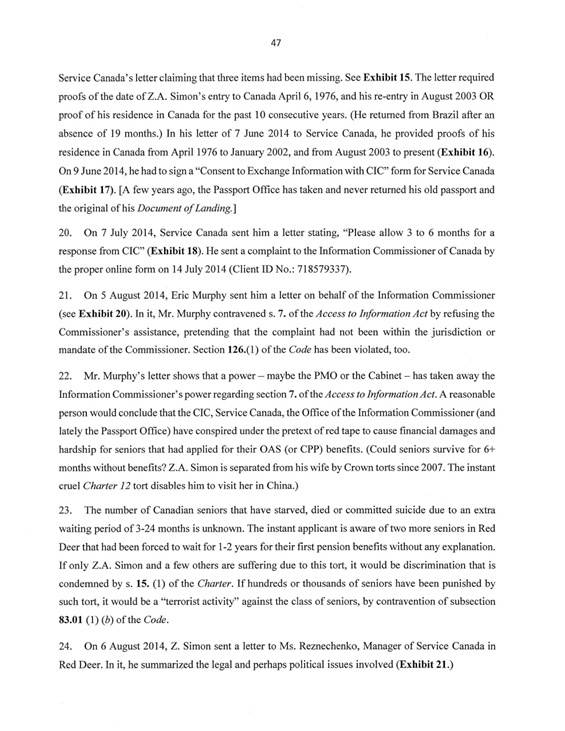 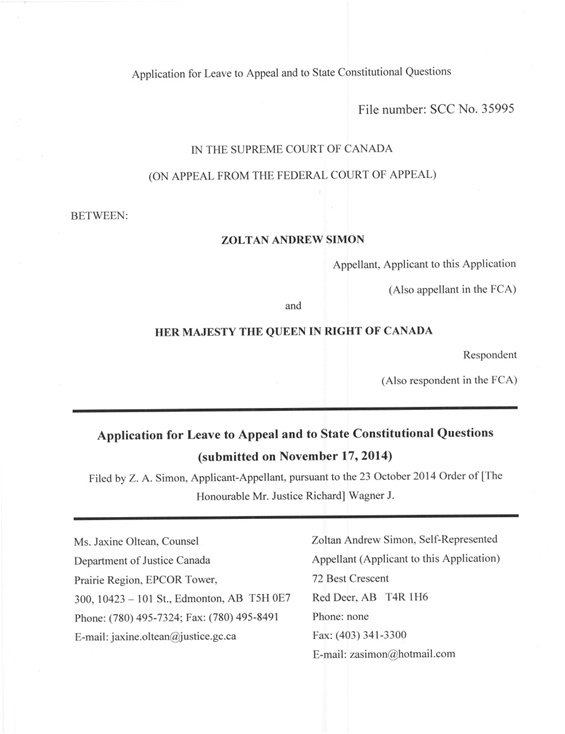 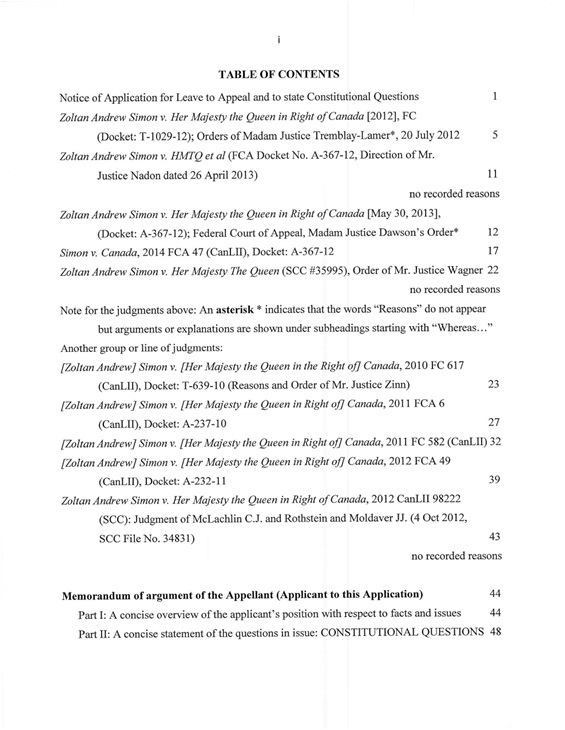 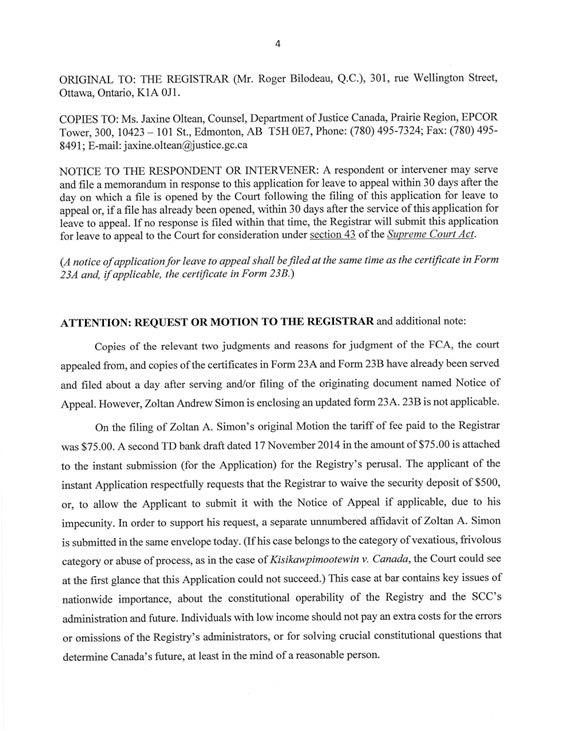 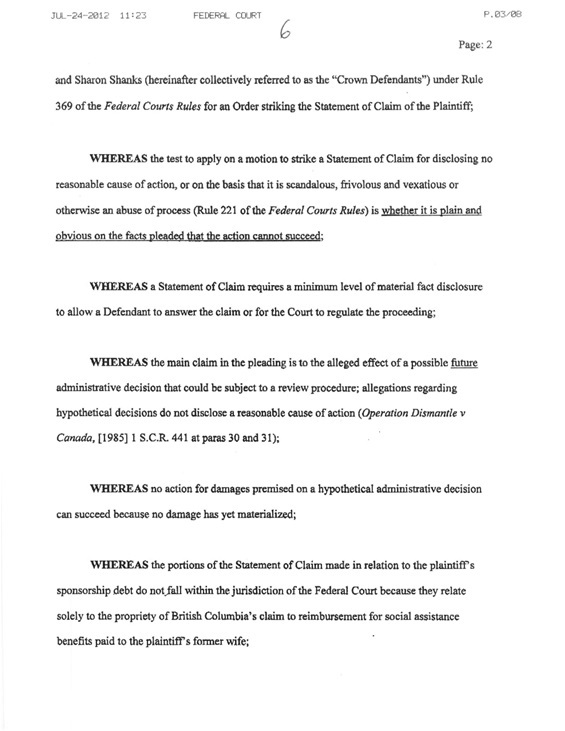 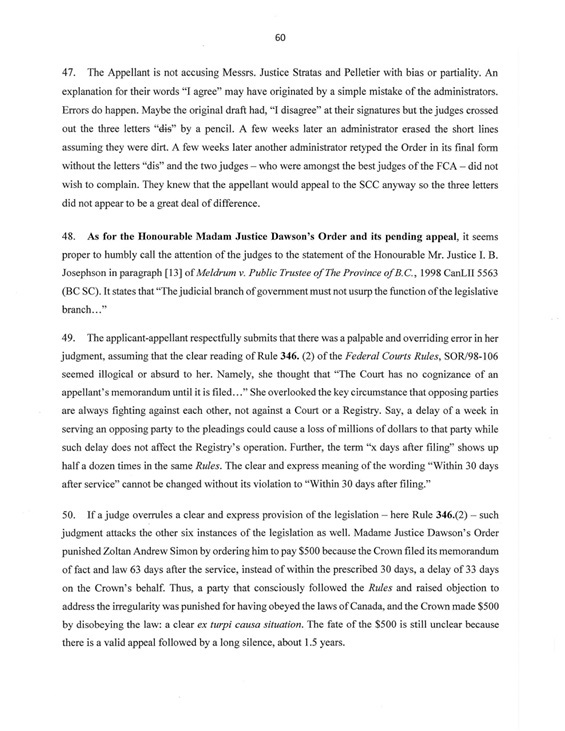 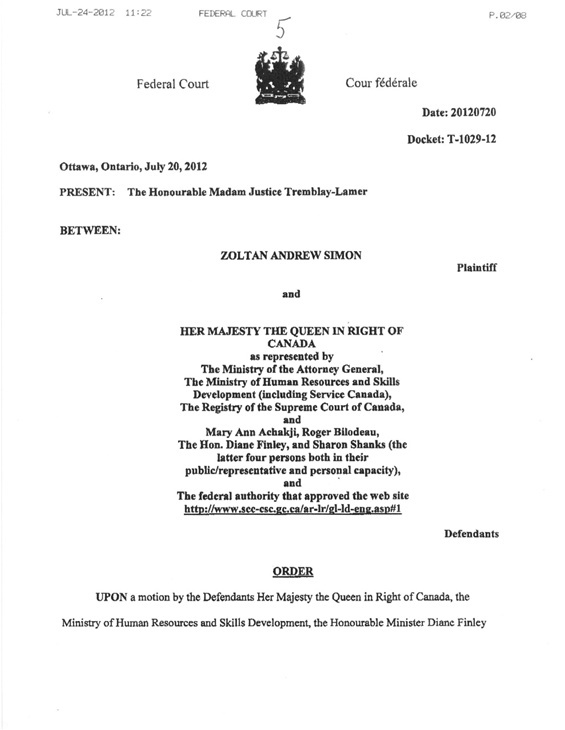 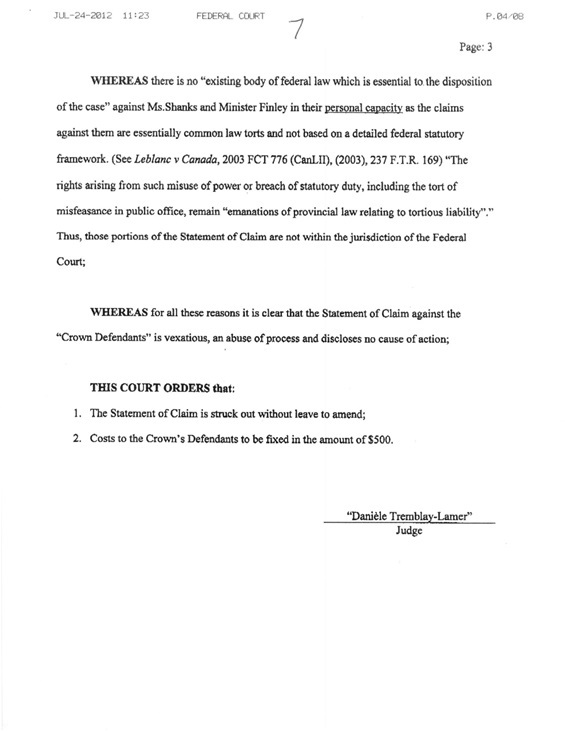 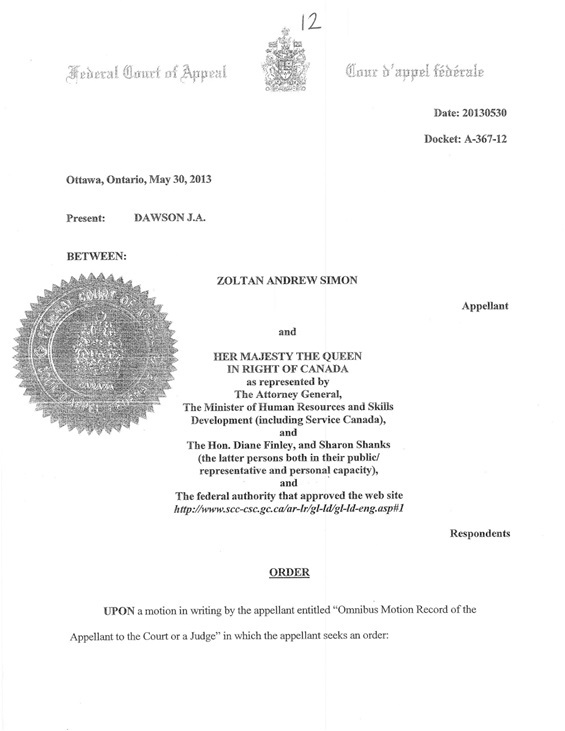 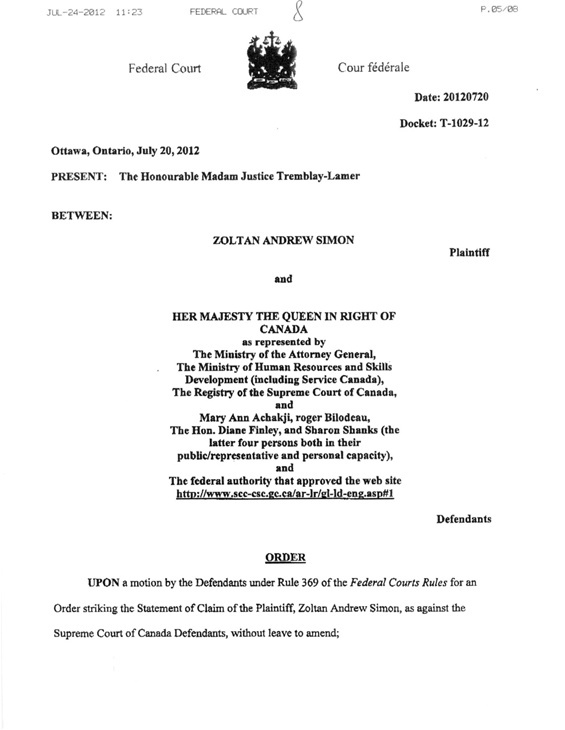 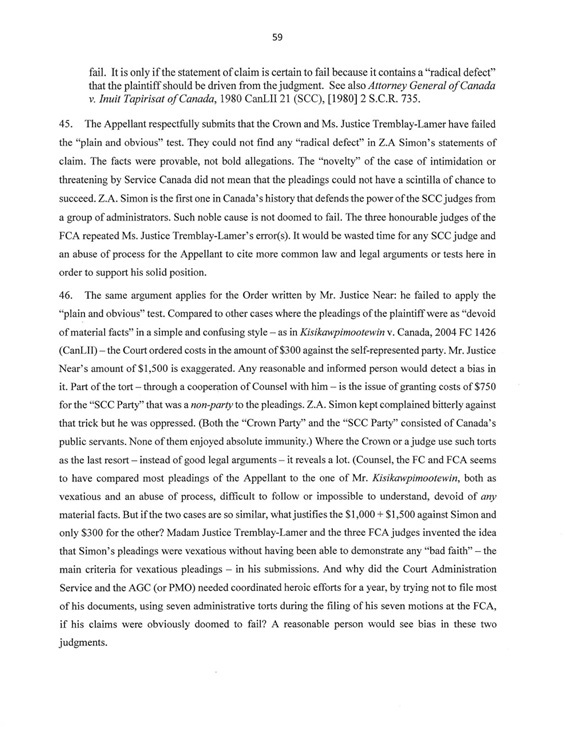 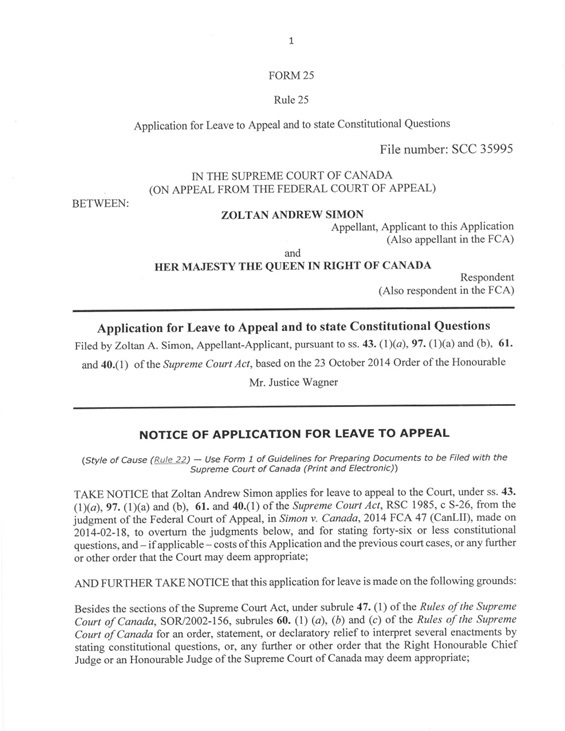 They contain Simon v. Canada, 2014 FCA 47 (CanLII); Zoltan Andrew Simon v. Her Majesty the Queen (35995( (F.C.A.) 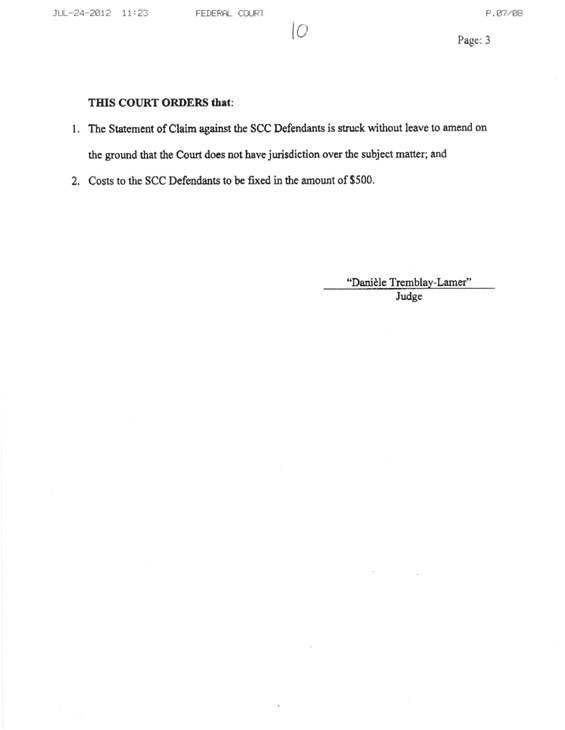 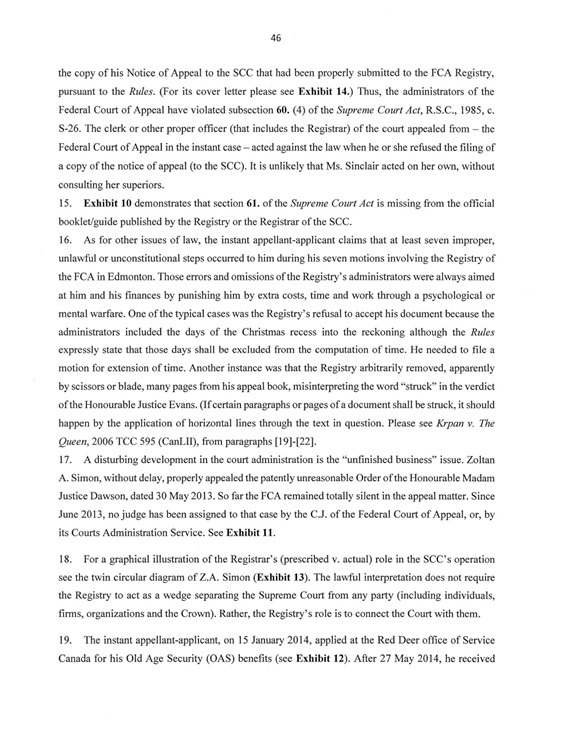 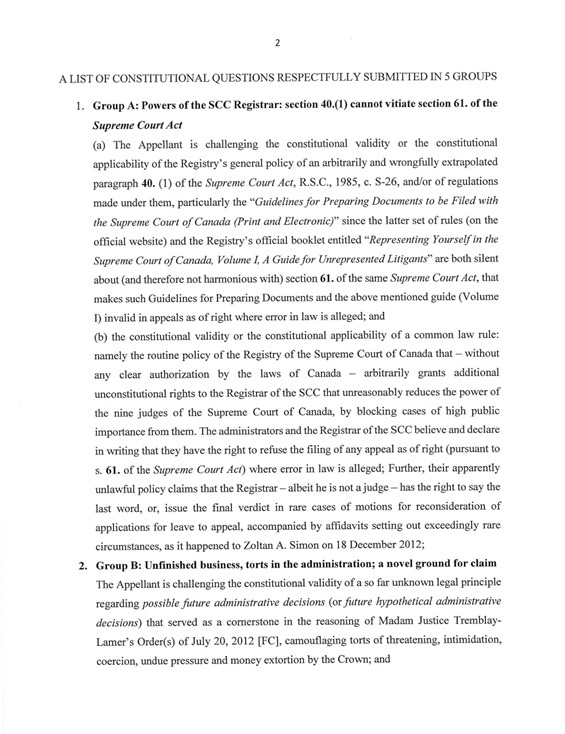 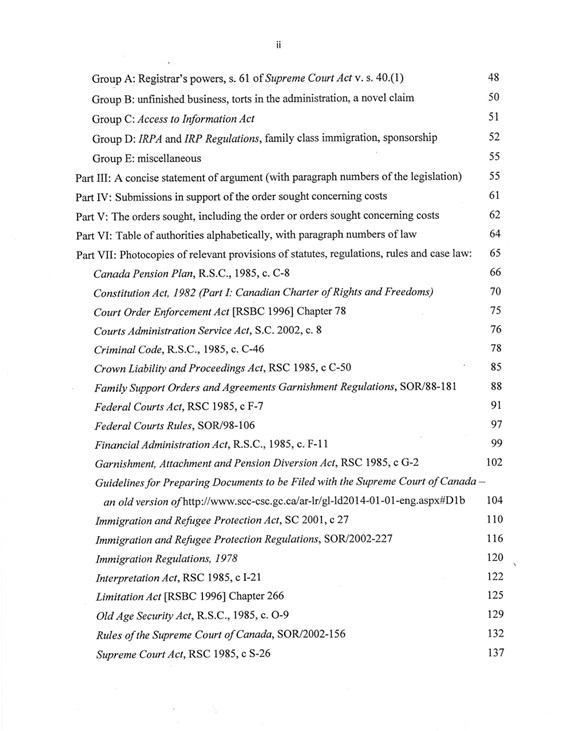 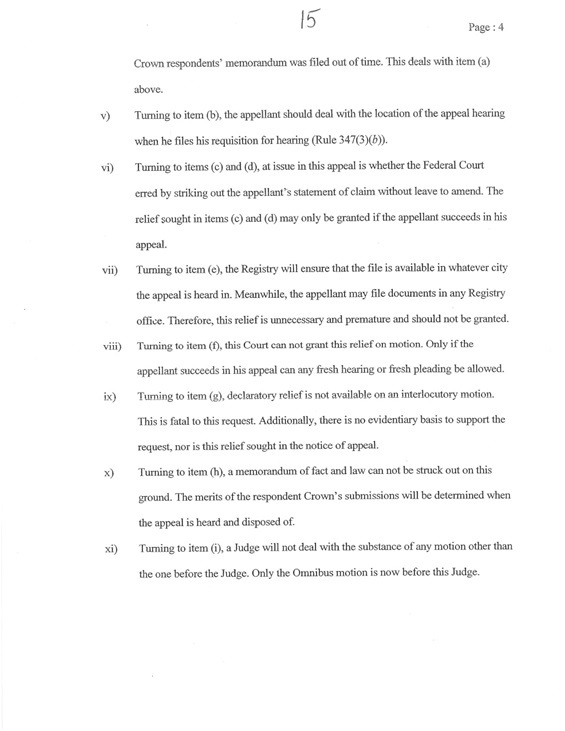 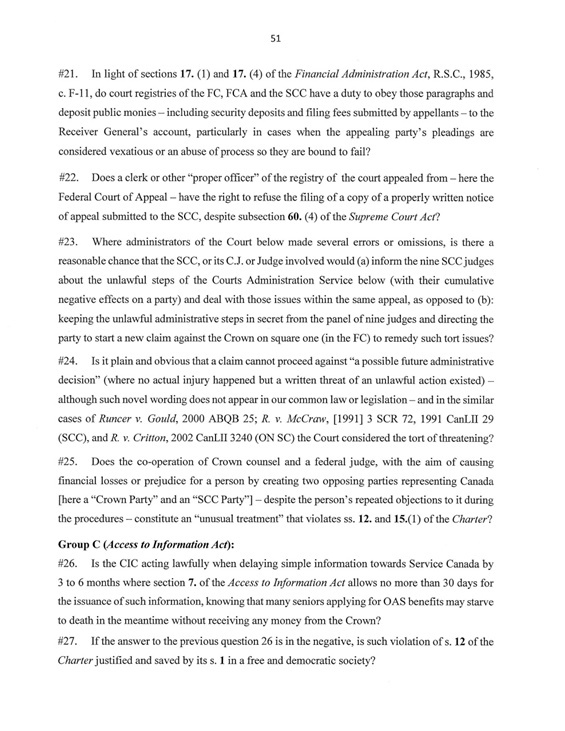 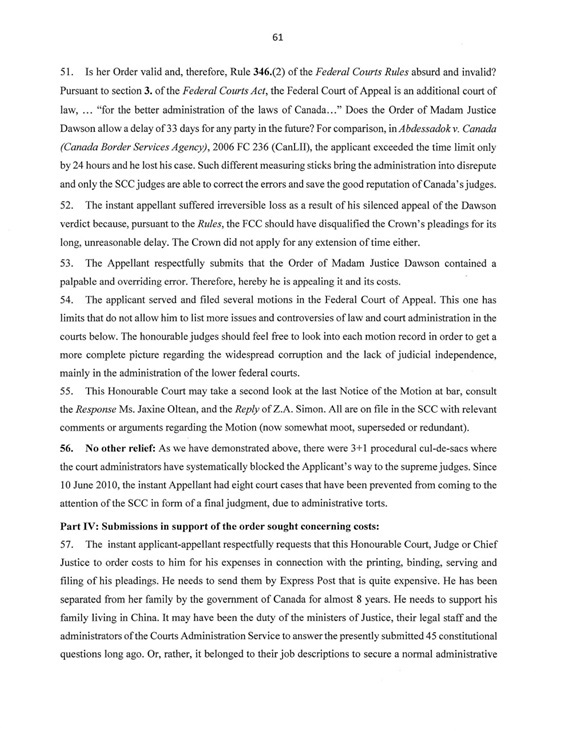 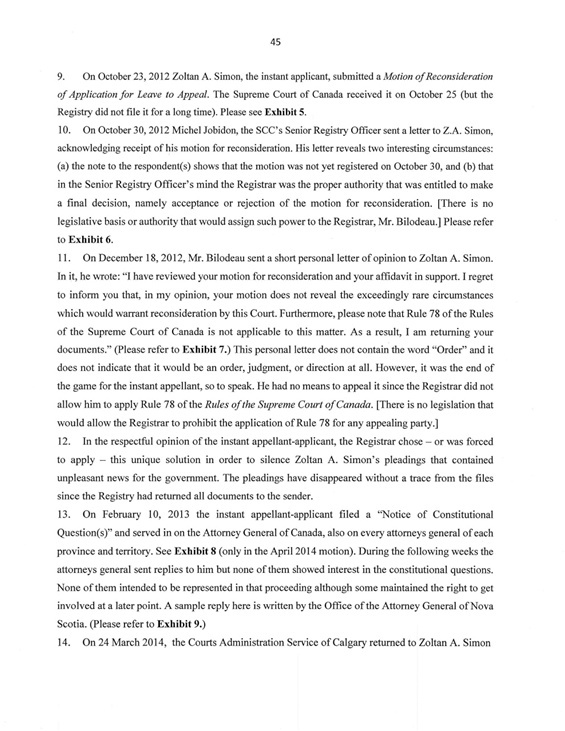 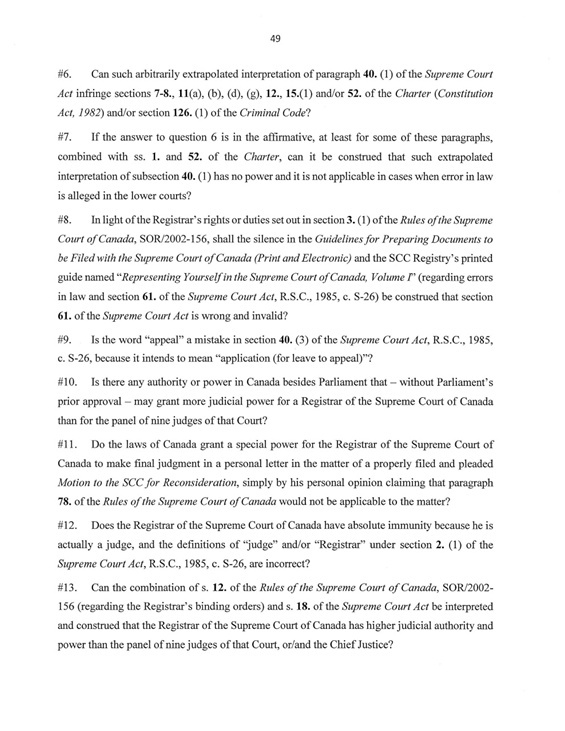 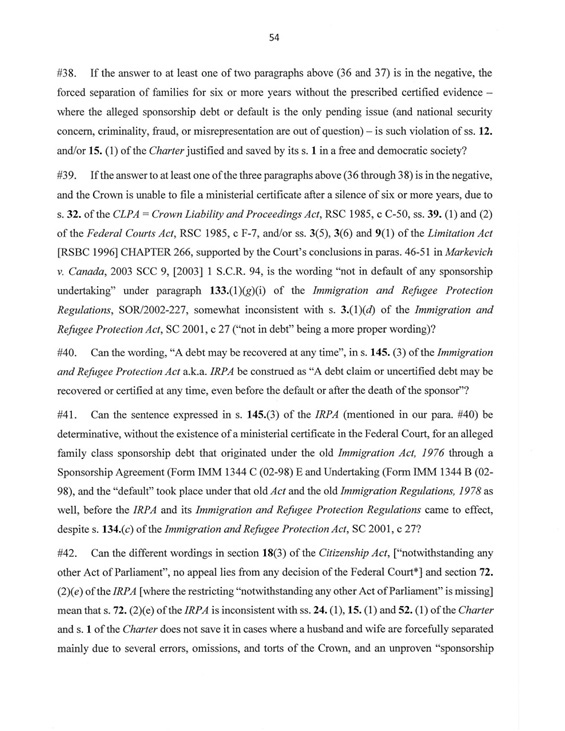 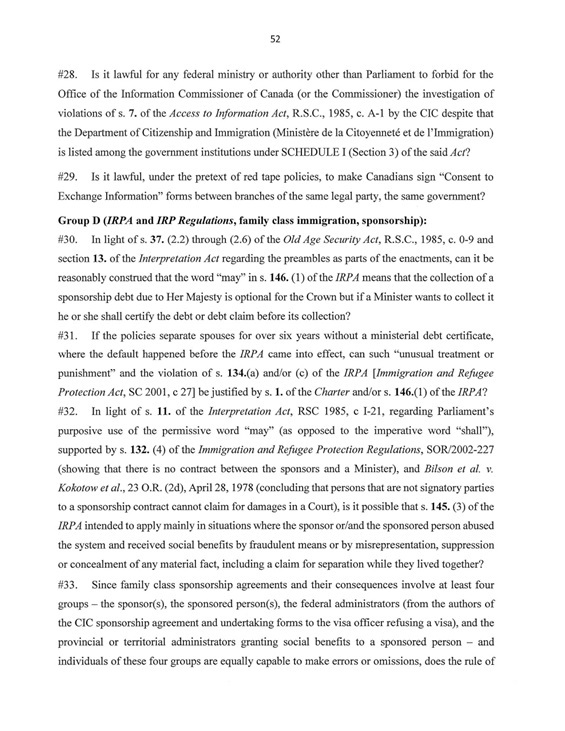 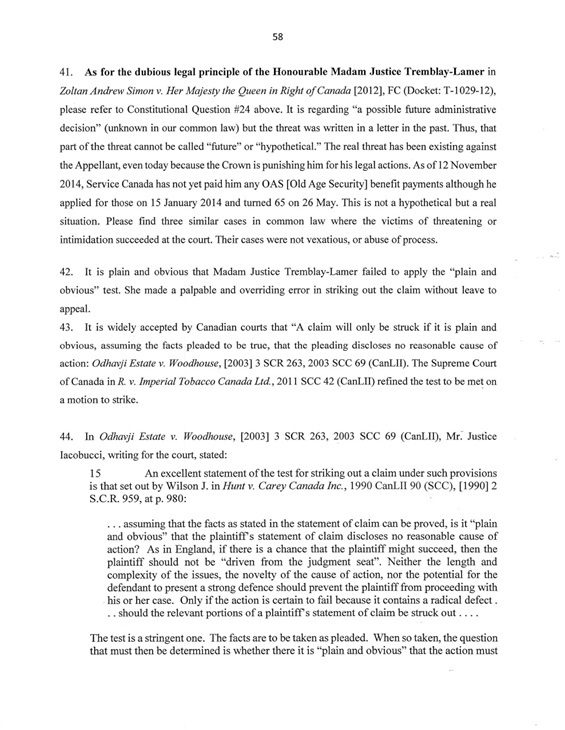 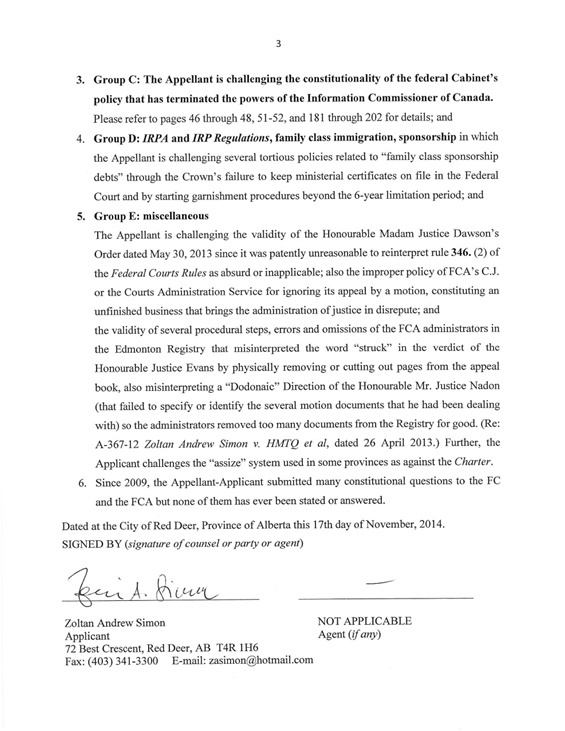 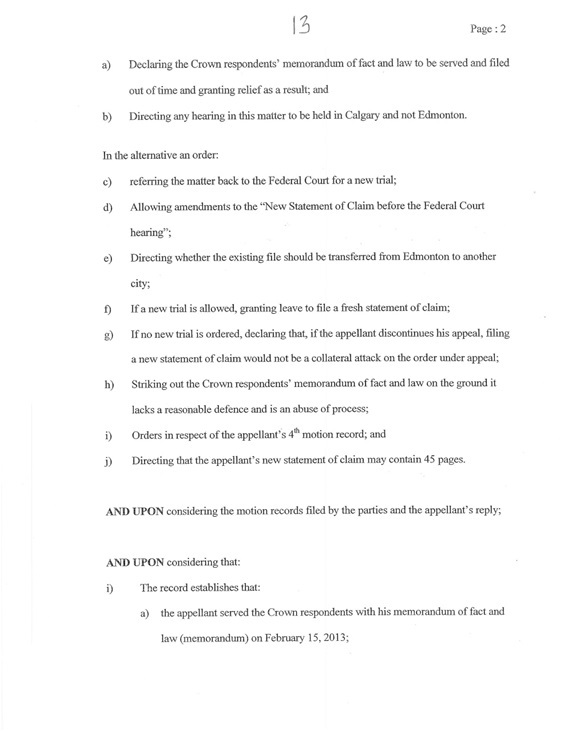 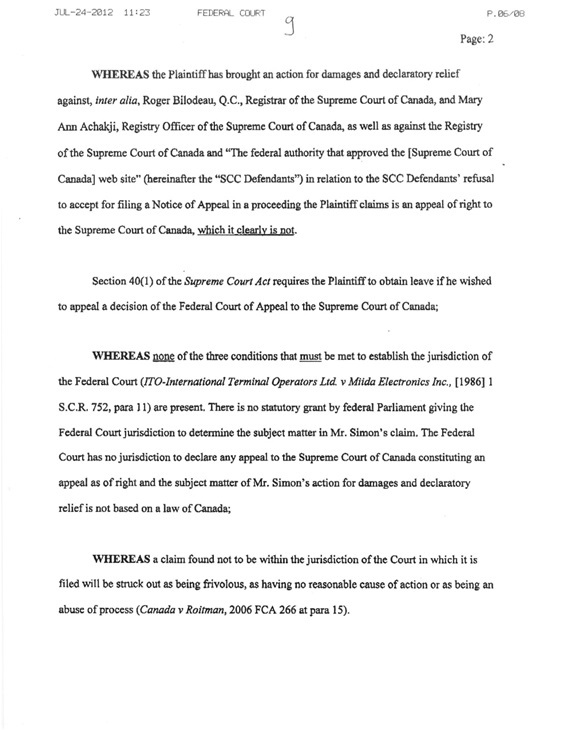 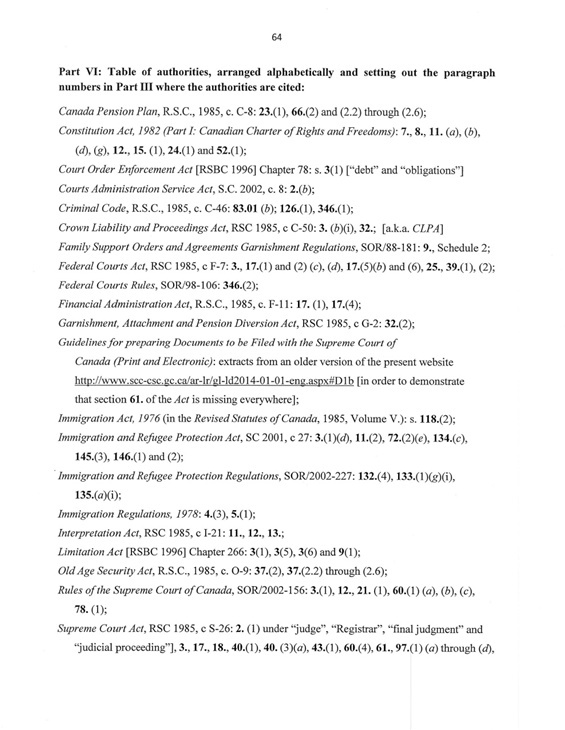 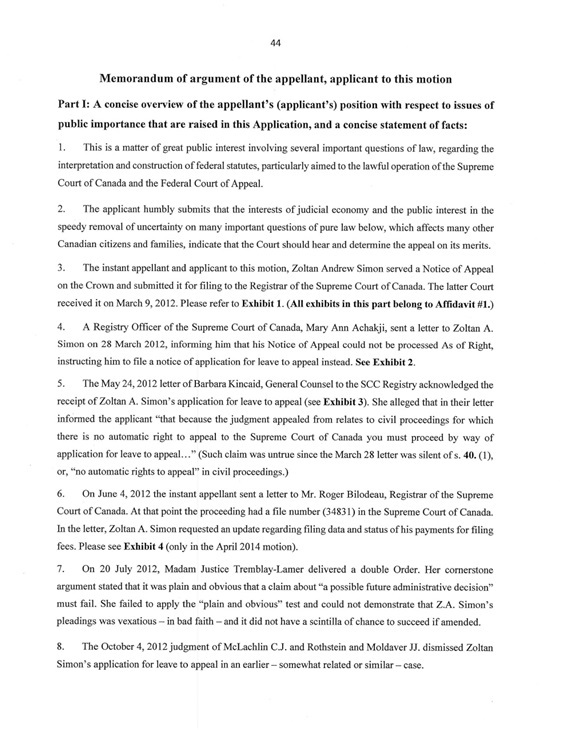 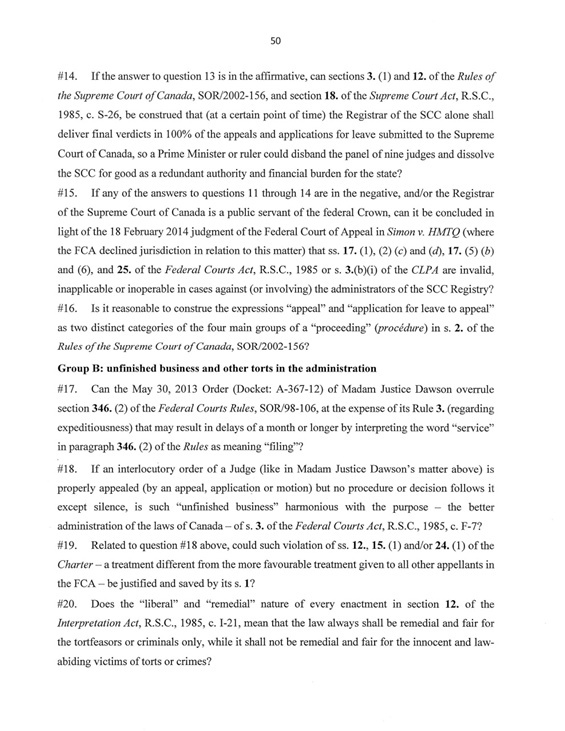 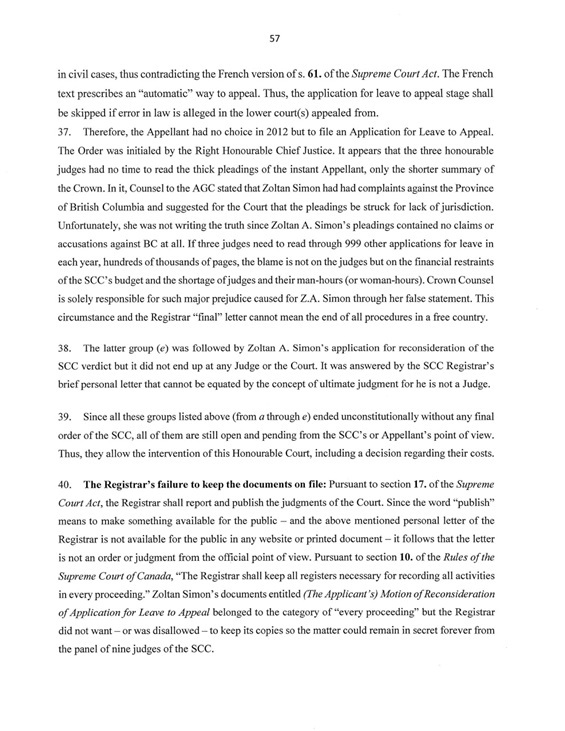 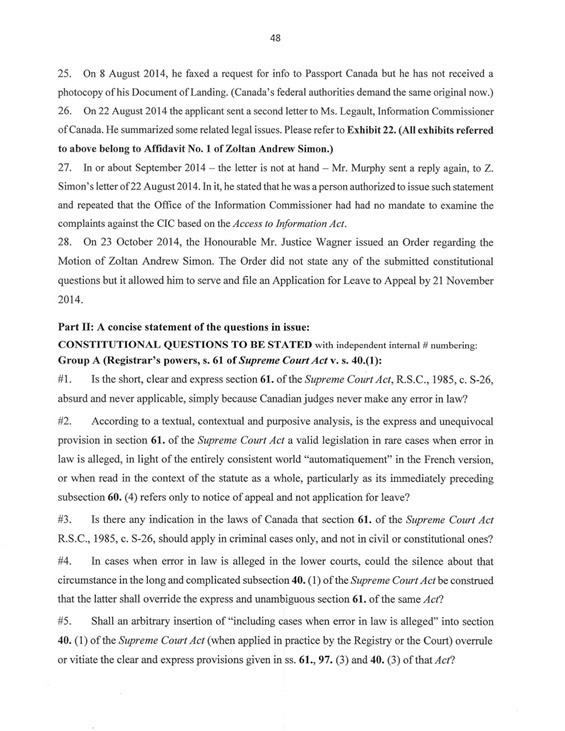 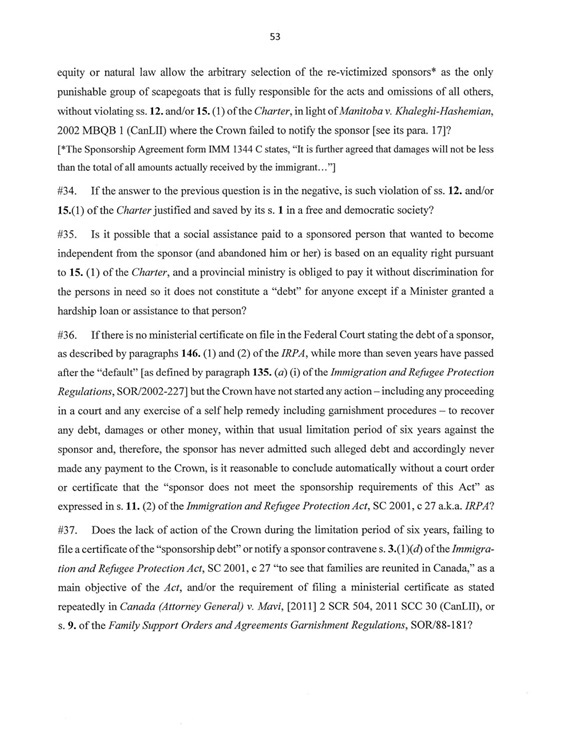 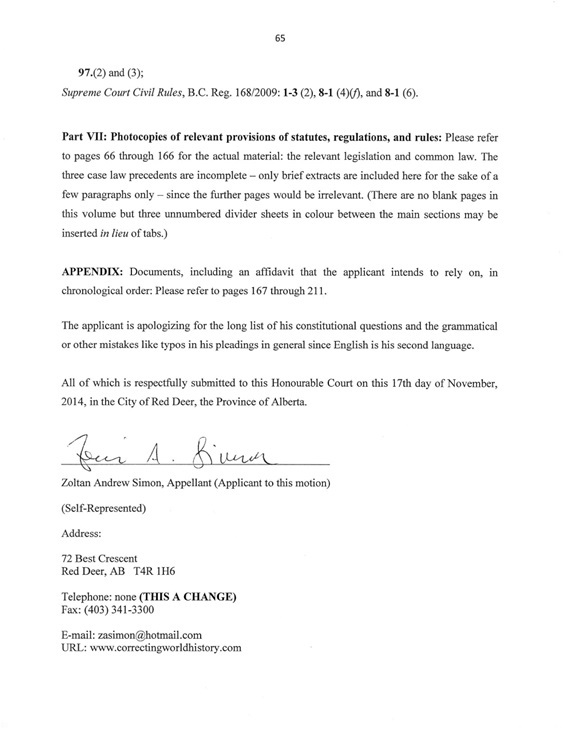 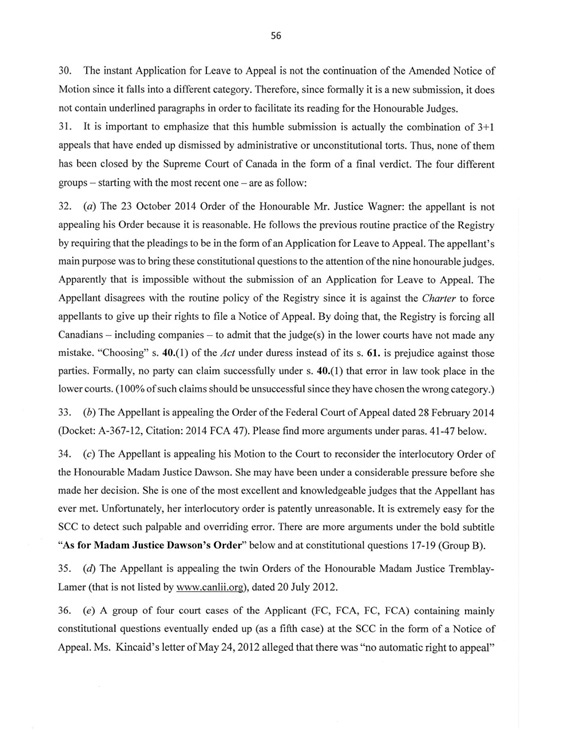 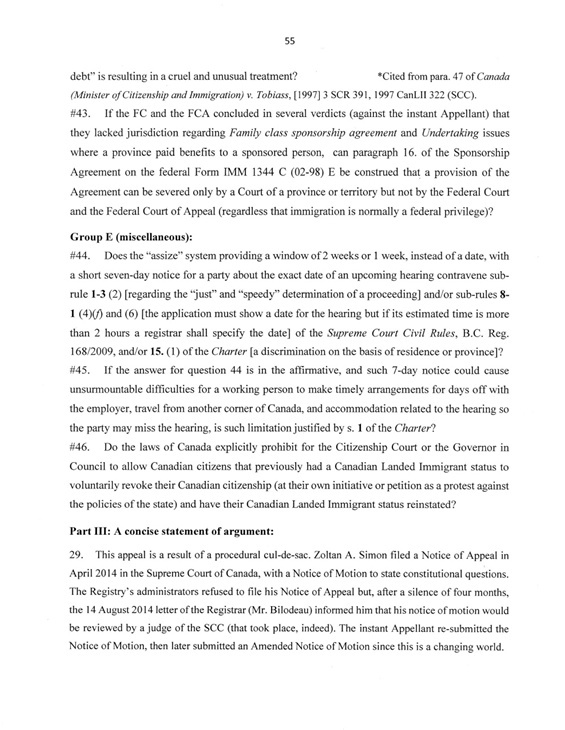 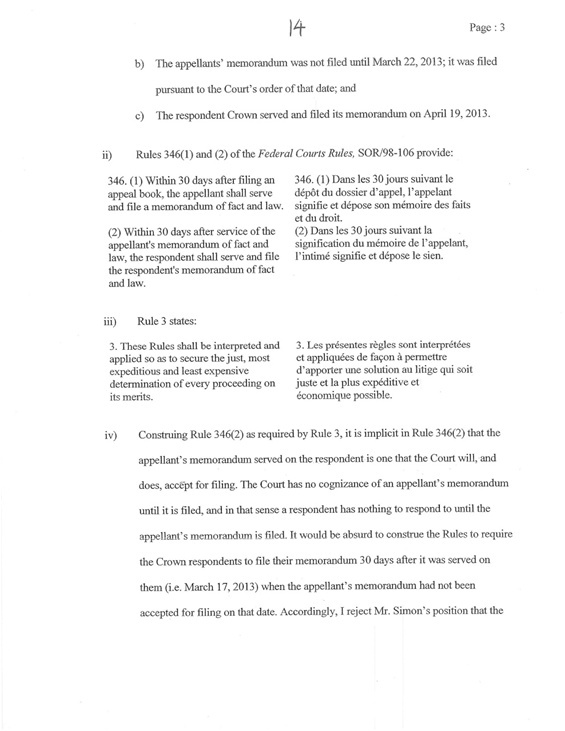 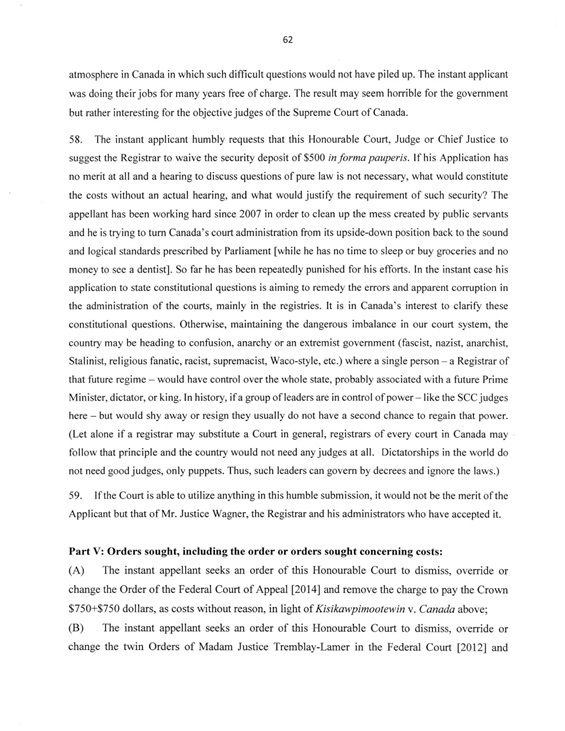 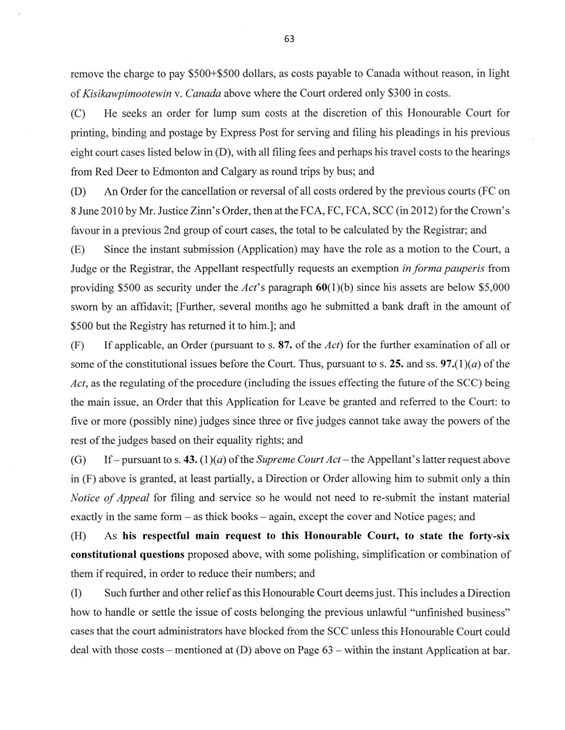 as the 23 October 2014 Order of the Honourable Mr. Justice Wagner; Simon v. Canada, 2010 FC 617 (CanLII); Simon v. Canada, 2011 FCA 6 (CanLII); Simon v. Canada, 2011 FC 582 (CanLII); Simon v. Canada, 2012 FCA 49 (CanLII); and Zoltan Andrew Simon v. Her majesty the Queen in Right of Canada (SCC No. 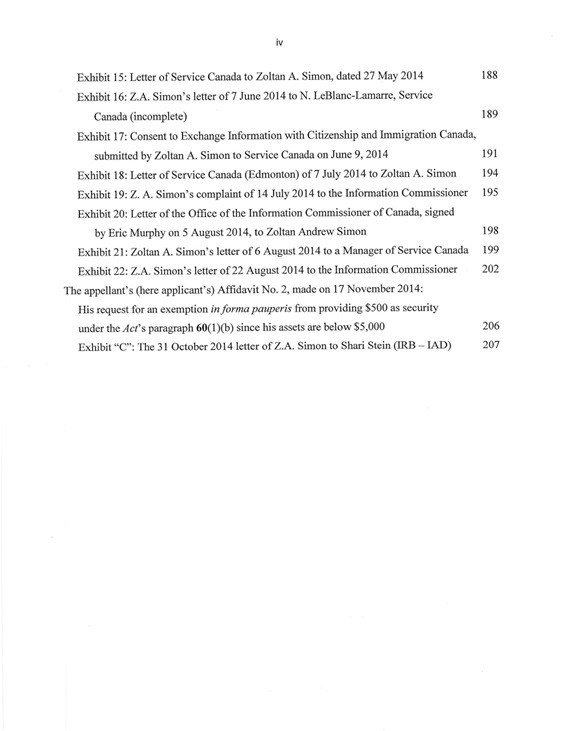 34831).